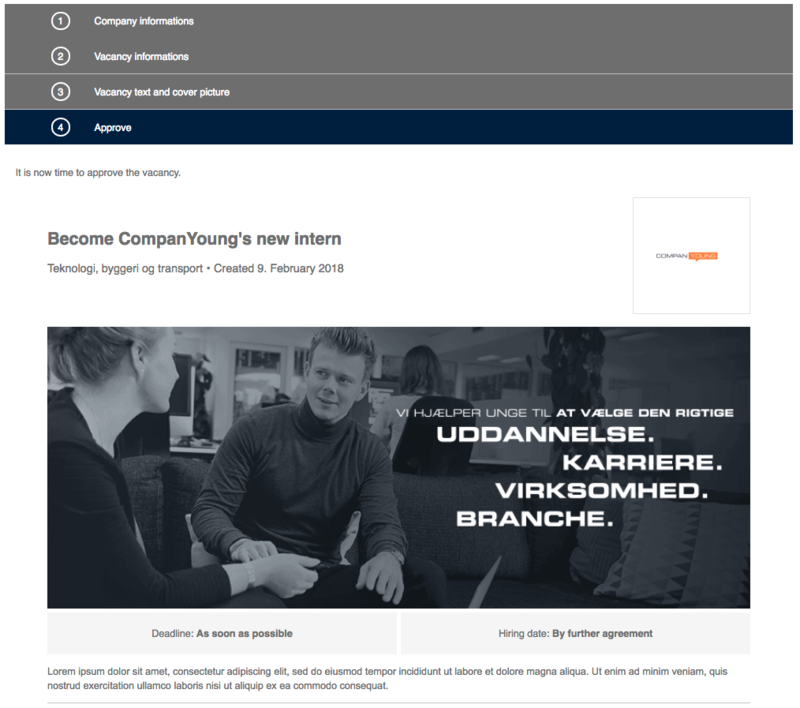 When placing a free job ad in the job portal, you'll be guided through various steps. First, you must fill out information about the company. 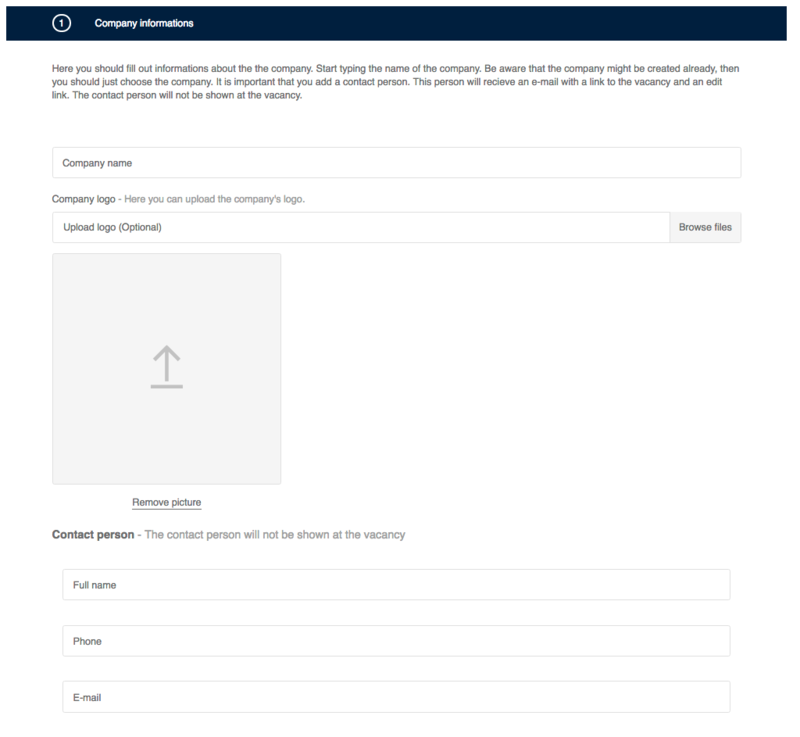 State company name, upload logo and indicate location of the company. If the company has multiple locations, select the location for the HQ. When filling out the company name, it might show up as if it has already been created. Select the company. You’re asked to indicate the contact person for the ad. These information aren’t shown in the ad, but are solely used to send out emails about activation and deactivation of the ad. 2. Second step is filling out information about the ad and the vacancy. 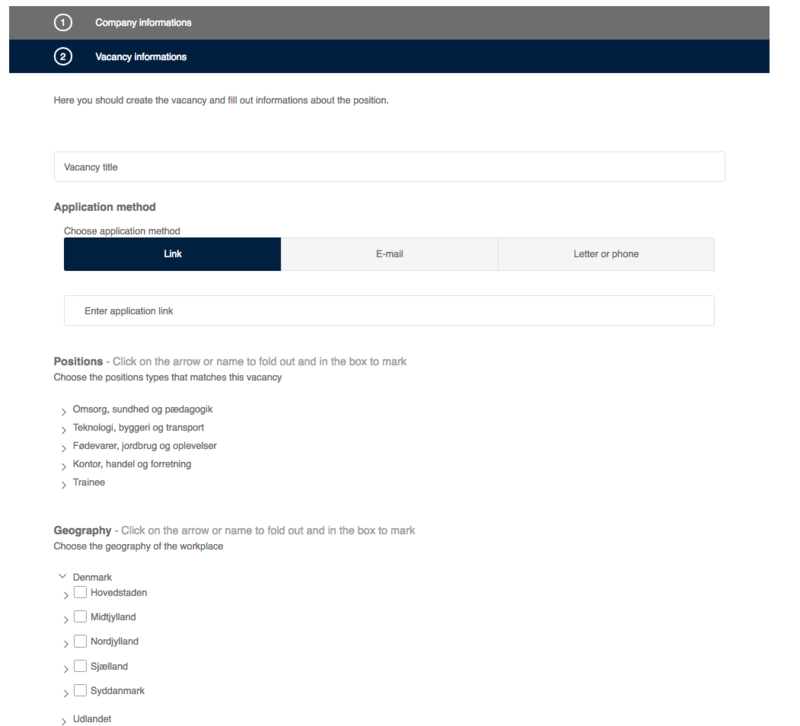 You're asked to name the ad, select location and job type (you can select more than one) that matches the vacancy. This information determines which users the job agent will send the ad to. In addition to the before mentioned, workplace, application deadline and start date must be indicated as well. 3. Now, it is time to insert the ad text and upload a cover for the ad. 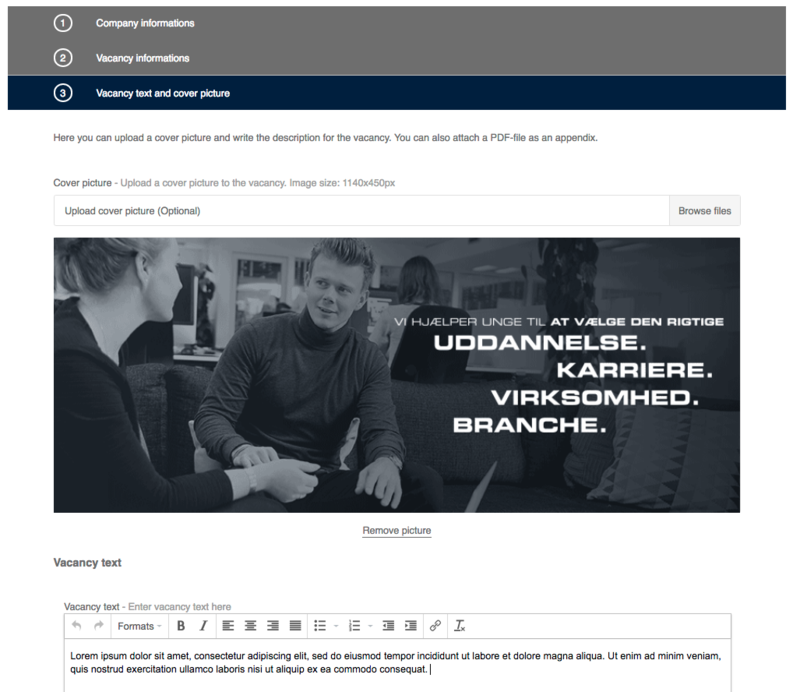 You can also upload attachments to the ad. 4. Finally, you'll see a preview of the ad. This is where you approve it and place the ad. After it has been placed, you'll receive an email containing links to edit, deactivate and extend the ad.